Karima Nadira | Exploring the magic world of Middle Eastern Dance! Karima Nadira Exploring the magic world of Middle Eastern Dance! Hello, Dance Fans! Welcome to my web site! The exuberance that is Middle Eastern Dance never ceases to excite me! The variety of dance interpretations, the get-up-and-dance music, the range of movement vocabulary, and the accessibility of this dance form makes it unusual even in the spectrum of world music and dance. Most often used in social situations to express joy, the dance is at once inclusive and expressive. Come dance with me! This year I had the opportunity to co-teach with Morocco at Rakkasah East 2017: this special occasion was the first public demonstration of Morocco’s: “The Fundamental Movement Vocabulary of Raqs Sharqi”, although there was only time enough for the “appetizer” version of the explanations and demonstrations! It is soon to be presented in full for the first time in Vancouver in April. I also got to show off on stage, doing a rendition of Morocco’s choreography for “Basboussa,” and having fun on top of my drum! Photos here; video to be posted soon. Many thanks to the Morocco, the organizers of Rakkasah East, and Carl Sermon, who took these fine photos! 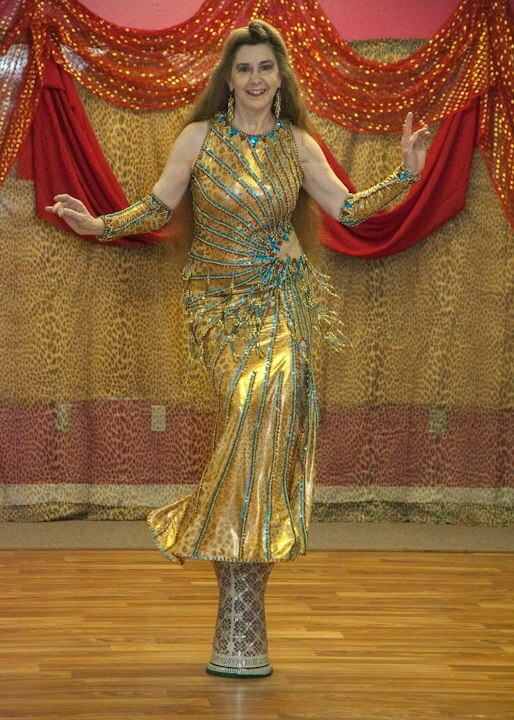 Many dancers struggle with how best to gain cultural knowledge about Raqs Sharqi and other Middle Eastern folk forms, especially since most dance workshops, weeklongs, and festivals, have only a limited verbal cultural component. You may even learn the movements of culturally specific dances like Raqs al Nashaat or Saiidi or Kabeyle, but without much context. While many responsible teachers include cultural information in the classes, there is only so much you can impart and still have time to dance, so it often takes a back seat. Where, how, why are these dances performed in their own countries? How are the movements executed in a culturally recognizable way? Why do Western interpretations frequently fail to communicate the essence of the Eastern dances? In Prague, Czech dancer Katerina Shereen Safrova has stepped forward to organize an event around cultural knowledge. Even before I got there, I knew that SHRQ would be different from most other dance events I’ve ever attended. Organized by Czech dancer Katerina Shereen Safrova, the focus was specifically on the cultural context of the dance. OK, So a whole year managed to go by without my posting about my trip to Istanbul, Turkey, in September 2013 with Morocco. Well, I’m almost done editing and organizing the photos (over 2000!- blame digital), so by this time next month, they’ll be up, and there will be more to tell! 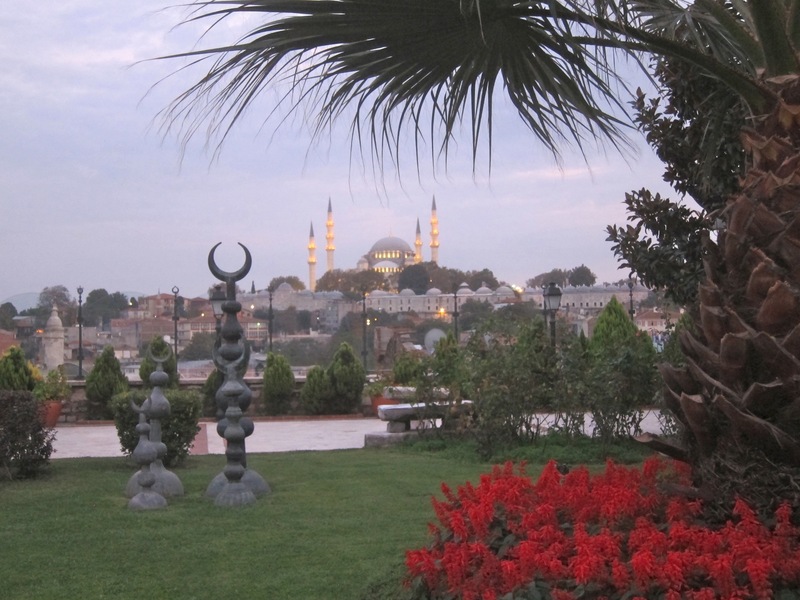 We happened to be there in time for the Istanbul Biennial art exposition and caught a Korean-Turkish festival in a park near the Hagia Sofia. Also, thanks to 2 of Morocco’s closest friends in Istanbul, we got off the beaten track to the Asian side, local hangouts, and a fabulous new hamam (Ahhhhhhhhhhhh….). I’ll be posting more next month, so stay tuned! Karima Nadira with Khariyya Maazin in June 2004: Khariyya, one of the last of the real Ghawazee, teaches the traditional way: She dances, repeating the movement sequences, and we follow her until we get it- no breakdown, no explanation – the same way we learned things as children. Anticipating spring, our Friday class will be working on a new choreography, exploring the eastern concepts of dalla & tarab, and working out with veils. We are also looking forward to the upcoming visit to NY of the highly respected A’isha Azar on April 6 & April 7. 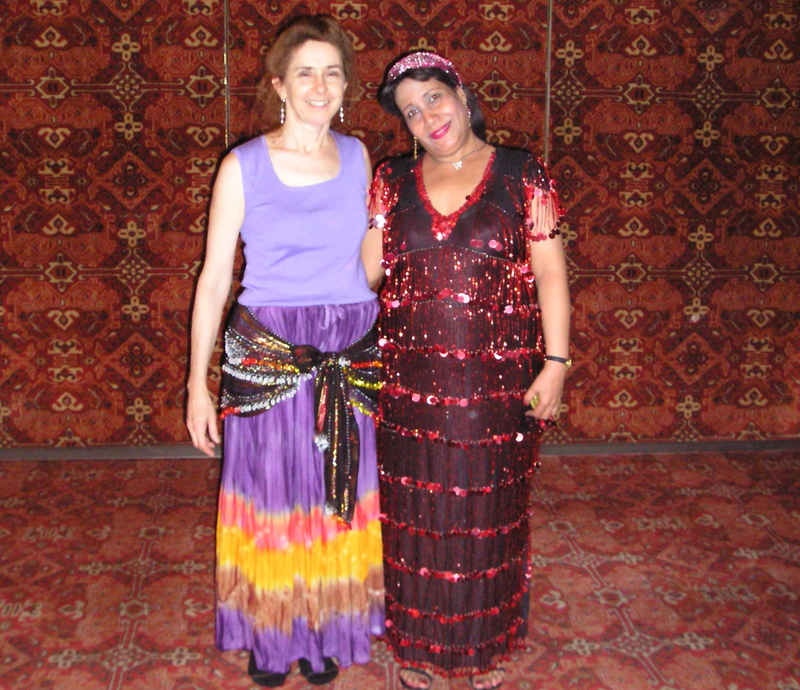 A’isha is an expert on dances of the Arabian Gulf and Egyptian Raqs Sharqi. She will be teaching Raqs Samri and Raqs Nejdi Hadith from the Arabian Gulf and Raqs Sharqi. This is an excellent opportunity to learn Gulf style dance. I hope to see you there!